From the Autobiography of Tiberius Claudius, Born 10 B.C., Murdered and Deified A.D. 54. Set in the first century A.D. in Rome and written as an autobiographical memoir, this colorful story of the life of the Roman emperor Claudius stands as one of the modern classics of historical fiction. 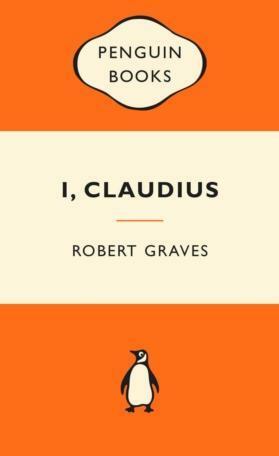 I, Claudius is one of those books that frequently appears on lists of books to read before you die etc., so I thought it was about time I got around to it. Overall, I found it highly enjoyable. It took me a few chapters to get into the story, but once I did I was hooked. I loved the autobiographical style, offering a snapshot of family life in the upper echelons of Roman society, and Claudius present an intrigue and sympathetic figure. I will certainly consider reading the second part in the future. Recommended for lovers of historical fiction and those interested in Ancient Rome/Roman emperors.